The PTO is here to provide support and service to the children of Egg Harbor City, their families, their educators and their community. We "work together to keep children first." 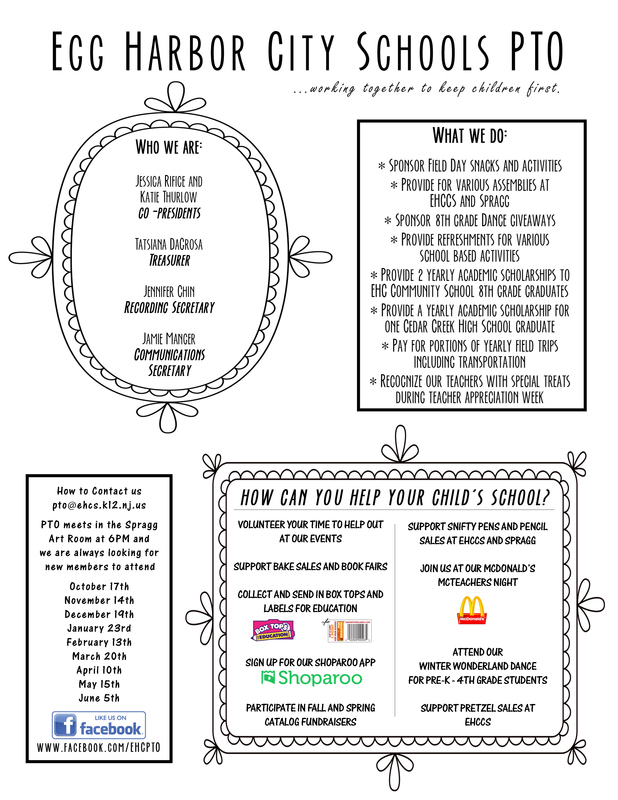 We encourage all parents to consider ways in which you can get involved to help support our mission! All meetings begin at 6:00pm and are held in the Spragg School art room. Please send in your Box Tops for Education Labels. Each label you send in earns our school .10 cents. It really adds up. You can send them in at any time, either on the provided sheet or simply place them in a baggie.We also accept Campbell's Labels for Education and empty printer cartridges.